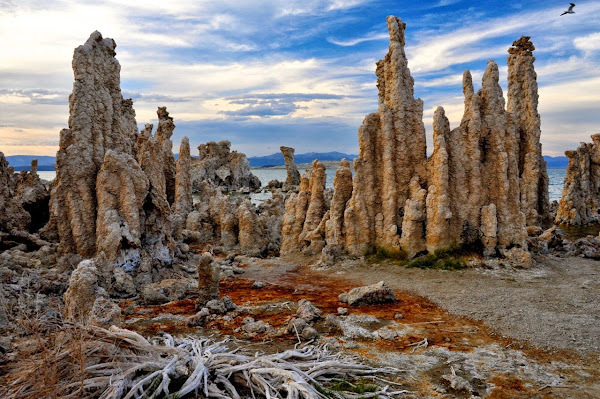 Tufas (calcium carbonate precipitates) grow exclusively under water. They can be seen at Mono Lake courtesy to Los Angeles' insatiable water needs, which led to diversion of many of Mono Lake's tributary streams. The diversion halved the water level and doubled the salinity of the lake exposing the tufas. In case you wonder, I tasted the lake. It tasted more soapy than salty.